We are passionate to change the perceptions on Autism raising awareness and we cannot do this alone and that is why our incredible Patrons are so important and fantastic role models. Find out more about our patrons who are helping us spread the word who are passionate about helping with our mission. Kacey Ainsworth has been working in entertainment industry since 1978. 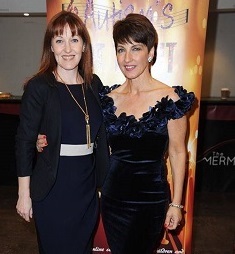 She is a multi awarding winning actress who came into prominence for her portrayal of Little Mo in Eastenders. Since then she has starred in lots of Tv shows including Holly Blue, Call the Midwife and most recently as a very evil witch in cbbcs. The Worst Witch. She can currently be seen in ITVs Grantchester alongside Robson Green every Sunday night at 9pm for the next 5 weeks. After several members of her family were diagnosed with Autism she decided to get actively involved in raising awareness of autistic spectrum disorders and promoting inclusion for those on the spectrum. Author of 2 books and a third on the way, I’m a 10 years freelance writer, corporate &amp; show-biz PR professional and popular radio voice (see voice-over tape below). Pulling together Special Events is a forte and great successes have been: KPMG’s Women in Business; Refuge Glamour Ball and Sandance Ball. 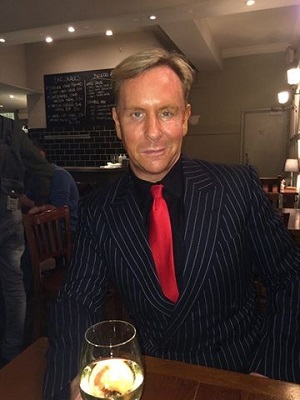 Originally discovered for my hairdressing talents way back when.. including eight years in Beverly Hills – returning to London in the 90’s, I rose to fame as a celebrity hairdresser. Hello, my name is Dermot and a AKO Young Patron/Charity Champion. I have Asperger’s Syndrome and depression. I am currently studying for a Diploma in Creative Media Production at College, with the ambition of becoming either a journalist, or developing a full time career in PR. I had been diagnosed with Asperger’s at the age of 8, which was incredibly early! Although, mum had been fighting for a diagnosis since I was 2. I’m an avid Tweeter and I look forward to seeing you at our events soon! Ryan is 17 years old and has Aspergers. He has always found it difficult to make and keep friends resulting in him going to many different schools. His love of music and drama has always gave him an outlet, and he thrives on the excitement of performing, whether it’s playing guitar or the many shows that’s he’s appeared in. He took part in Autism’s Got Talent in 2015 where he made wonderful new friends. It was also the start of a wonderful year, where Ryan had the opportunity to get involved with some great fundraising/awareness events. In November 2015, Ryan created an emotional video called ‘Tomorrow’ to represent his emotions and show the pain he goes through on a day-to-day basis because of bullying. this went viral, this was self created and based on his own experience. Click here to watch this powerful video. In 2016 Ryan received the Diana Award for his volunteering, ambassadorship and empowering other young people to change their lives, communities and families through Anna Kennedy Online. Ryan creates all the highlight and video captions for all the Charity events and looks after the Charity’s YouTube Channel: Click here for more details. 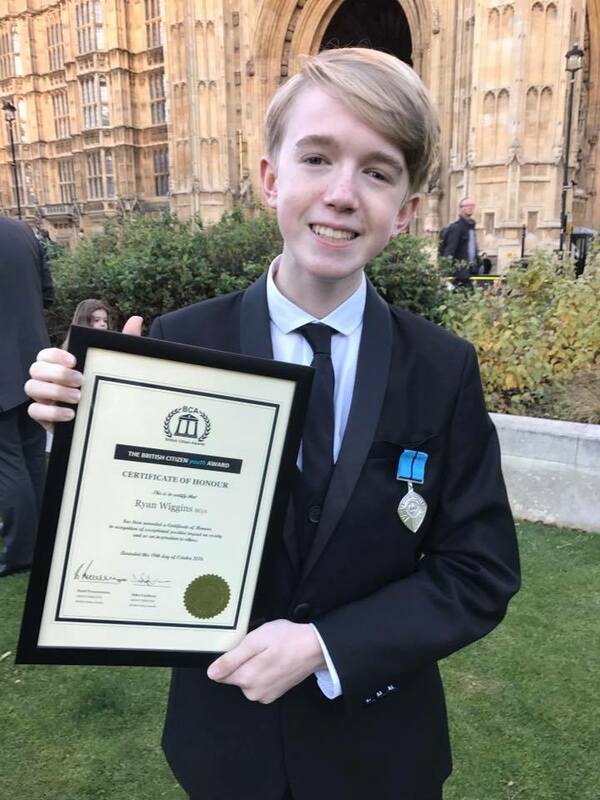 Ryan is extremely proud and an incredible patron for Anna Kennedy Online and appears on the TV frequently, he was selected to appear in the film ‘The Diary’ and continues to won awards through his outstanding skills and being an incredible role model. John-Paul met Anna in 2017 through social media and then again at an Autism fundraiser held by BMW London. 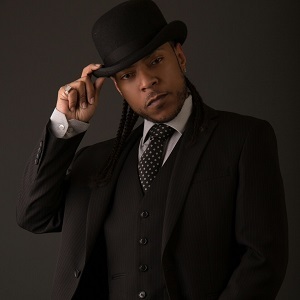 John Paul is a member of the band Big Brovaz and proud Father to Richard-Michael Kymanni Horsley and four other children. John-Paul is an advocate for raising Autism Awareness and frequently visits schools and provisions. Anna and John-Paul got on immediately the moment they met, and are on the same wavelength with so much common ground, Autism Awareness being the greatest. J-Rock from MOBO award winning R&B and hip hop music group Big Brovas announced his first ever charity single in April 2018 and reproduced his version of 2003 hit Baby Boy’ alongside 7 other artists all of whom have autism making this single totally unique and poignant. Click here for details. Today I am so different to the person I was several years ago – I still look the same, sound the same and have all the same interests but how I look at my life and how I view myself has completely changed. I actually grew up without a diagnosis and life was pretty difficult. I didn’t know why I struggled and felt different, my parents didn’t know why their daughter wouldn’t join in with other children and my teachers just looked at me as a quiet, good little girl. There was some amount of bullying at school, a lot of it was active isolation meaning they sought to leave me out but there was also name calling such as ‘spastic’ and ‘freak’. Some of the name calling was probably pretty standard for kids at that time but it had a much larger impact on me as I felt different already. 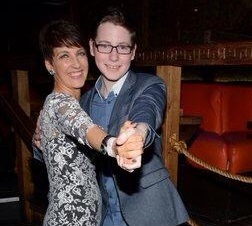 Dancer James Hobley, a previous finalist in Britain’s Got Talent become our first Young Patron for Anna Kennedy Online. 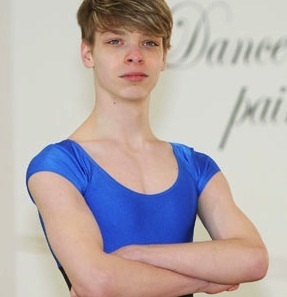 We are so proud to see how how much he as achieved in such a short time and he won a place the the prestigious English National Ballet School. James started off on his dance career when he won a scholarship to attend and board at The Hammond School that is in Chester, a specialist musical theatre and dance school.